Internet safety, healthy nutrition, world kindness & anti-bullying. On Sept. 27, help your kids learn about proper nutrition via Family Health and Fitness Day. Help them create healthy habits by making a game out of proper eating choices. ChooseMyPlate.gov has a section of their website specifically dedicated to teaching tools for children. Talk to your children about the importance of getting out and playing. Challenge them to trade 30 minutes of TV for spending 30 minutes being active each day. Organized by Insafe, Safer Internet Day is in February of each year. This day offers an opportunity to review Internet safety practices with your children. It is important for children of all ages to understand the long-term impact their Internet activity has on their life. Next Safer Internet Day, have your children identify one thing that someone has done to make the world a better place through the Internet and have them share it with your family—here are some examples to get them started. Then, have them come up with five ways they can use Internet as a force for good in their lives. Also remember protecting your personal information is important to avoid identity theft, and limiting content you share online is equally as important to consider. On Nov. 13, World Kindness Day is a great way to help remind your child about the significance of kindness. 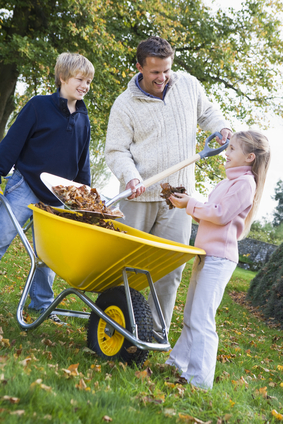 Have your children identify 10 random acts of kindness they would like to perform in one day. It can be as simple as smiling at a stranger or offering to help an elderly person take out the trash. Encourage them to reach beyond their comfort zone. The importance does not lie in the activity itself, but in seeing how their genuine kindness impacts those around them. For kindness inspiration, check out RandomActsOfKindness.org. In addition to challenging your children to live a kind life, lead by example in your everyday life. Try giving up your parking spot, picking up the bill for the car behind you at a drive-thru or waving to your neighbors whenever you pass each other. Awareness days give us an important opportunity to learn, reflect and inspire the next generation of leaders in our communities. What are some other awareness day topics you find intriguing? Let us know in the comments section below or feel free to send us a message so we can share your ideas on other meaningful awareness days to create positive change.